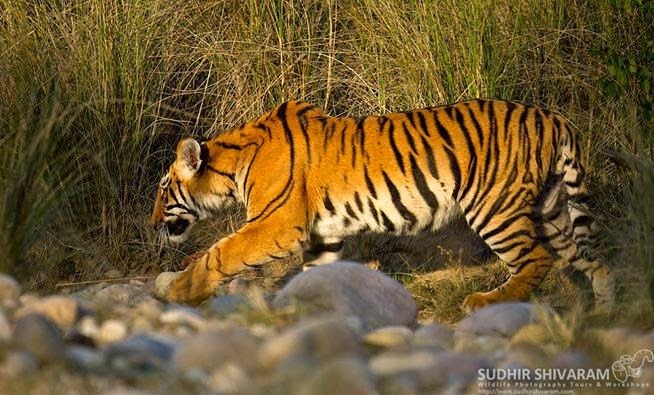 Tiger sub adult at Corbett Tiger Reserve. This was the cub we came across in today morning safari along with its sibling. If you understand Tiger behaviour, they typically rest during day time and are active in the evenings. We go back there in the evening and we should be able to see them again. I had kept ISO at 500 as I expected them to move in the shadows. Keep the setting to take care of extremes and you should be fine if they appear in good lighting as well.